1. 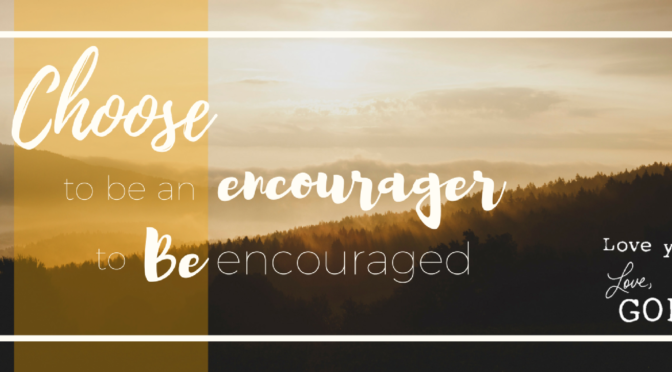 If you are an encourager, it’s important to recognize that you need encouragement, even before the times get tough. 2. Really assess, if you’re on the receiving end, how often you share that same encouragement with others. You can’t continue to receive but never give that same back to others. The Bible calls us to be encouragers — each and every one of us. I guarantee that those who lend themselves to help, to encourage, are not going to be the first to come to you when they need a word of encouragement themselves. That’s where we must learn to reach out with a word, a text, a call, even a prayer for those we may not know need it most. You will notice when someone needs encouragement because they may tell you something is wrong, you may know they’re going through something difficult or they might wear their difficulties on their entire being and, without even having to tell you something is wrong, you just know it. What about those who share a smile despite feeling broken inside or in need of the word they just gave to someone else a few moments ago? You may not recognize those as needs but they might even prove to be a bigger need that those who have an obvious “problem”. You see, encouragers who get that much needed encouragement BEFORE it becomes a problem are going to be even better at encouraging those around them. Simply knowing an encourager and offer a card, a text, a hug every now and then might just save them from going over the edge when their weak moments arise. 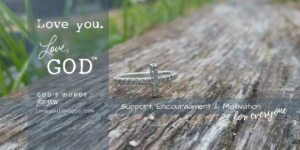 I have realized over the years that being an encourager is part of my nature. I may not be an encourager to everyone in need but certainly, when God puts it on my heart, I reach out to those who seem to need it and sometimes when God instructs me to, even if I don’t know why. It’s important to me that abiding in Him, being obedient to those things He puts on my heart will bring fruit that I may never see but is so important. It’s the kind of “help” that we give not ever seeing the outcome. Being a good encourager is just that — lending a hand, an ear, a word without expecting one in return, knowing you may not see the fruit of your labor. But what about those days when we wish we were on the receiving end? The more you give, the more you encourage, the harder it can be on those days when all you need is a word of encouragement and no one is to be found. Encouragers aren’t one to reach out and ask for something, nor are they going to call you to say, “Can you tell me something good about me today?” Honestly, some days, that’s all an encourager needs — someone to tell them that they’re doing a good job, that their good deeds are noticed or that they are simply loved for who they are inside. Encouragers, you need to understand that people aren’t going to recognize when you need a boost. Some people wear their heart on their sleeve as in they share every problem or know how to ask for prayer or help when they need it but others wear their heart on their sleeve in such a manner that people just know they have a big heart, never realizing that heart might be breaking ever-so-slightly. So if this encourager is you, you have to learn to ask for prayer but also know to go to God when you’re feeling a little lonely. “I imagine that if you are one who helps, it’s hard to switch roles and be on the receiving end. I recently had that experience. I’m used to being on the helping side, not the receiving, yet a situation arose that caused me to need a little help. And boy was it hard to accept. “But the best encouragement comes in the form of truth – the Word of God. We desperately need God’s truth. When we feel like we can’t go on any more and life is too difficult, God comforts us with the Holy Spirit, who is our helper, counselor and our encourager. Whether you’re an encourager or one who is learning to be one, God has called us all to the same task. That task is to love and part of that task requires learning to encourage one another. Be conscious that if you give, you take the time you need to seek encouragement. And if you receive, be sure you always take time to give it back. Now I’ll remind you that it has been 20 days since I wrote that post. Talk about being distracted. My intention was to write the rest the following day…then the following…then the following. I am now at a friend’s house who is also a writer. Although our topics are often very different, we both understand how important it is to set the tone of your writing space, be it at home, in a coffee shop, or at a friend’s house. There might be certain music playing on the surround sound or in your headphones, oils diffusing or candles burning, comfy clothes and maybe even a blanket. You might have your favorite beverage or a simple cup of coffee to give you a little energy. When you finally get your environment conducive to a good writing session, it never fails…something distracts you. Thinking of all the things that have occurred over the past few weeks has me wondering if I just need to reread my own words. In all honesty, sometimes what we write can be as much if not more for ourselves. Let’s face it, distraction has become something we expect but never prepare for. 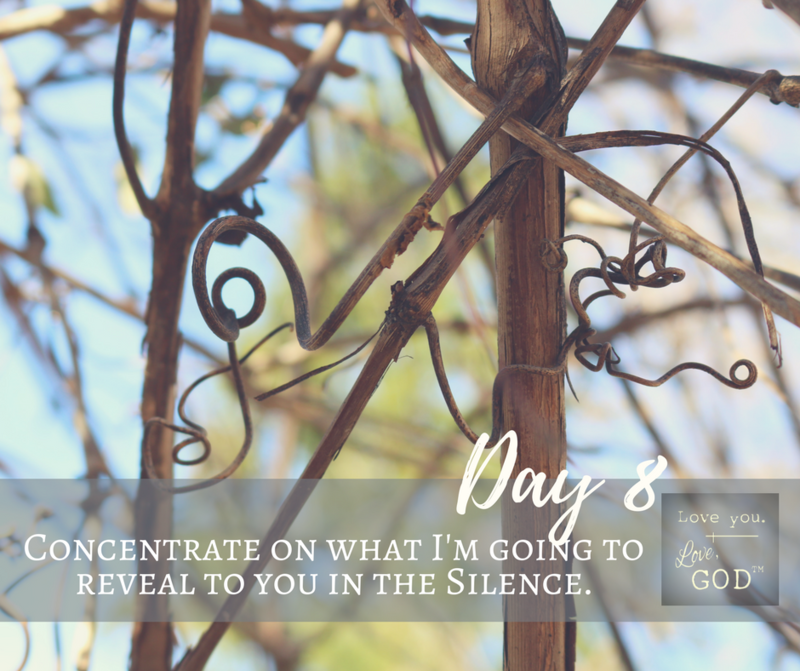 When I consider all that I could have written in the past few weeks, I feel bad that I have not made more of an effort to refine a gift God has given me. Do you ever feel that way? That you’ve put something so far behind on the back burner you have to literally turn yourself upside-down to get things right-side-up again. I’ve put so much time between part one that I am having to go back to revisit what I wrote because I can’t even remember anymore. It was good but I needed to read it myself! My word of 2018 is INTENTIONAL yet I can honestly say I’ve only been intentional at about 20% of things that both need and deserve my all. This thing called life is hard but it isn’t impossible. How can it be that we have something on our minds to do then the next minute our minds are nowhere near where they started or where they should be? It can be because we allow it to happen. For so long we have been allowing circumstances outside of our control, control us. Instead of pushing through to make things happen, we have so easily caved into our feelings in a situation that we have no control over. Let me remind you of something else I wrote previously…You aren’t failing when you have a bad day. You aren’t failing when you have to fake your smile or fight past feelings causing you to struggle. You aren’t failing when you realize you really need to think about the reasons you should be happy. You’re just at a point when the crazy world is starting to get to you. Here’s what I realized since writing that…we’re letting it. We are letting this crazy world and the people in our lives affect how we feel, how we act and ultimately, if we are following along the path leading to our destiny. 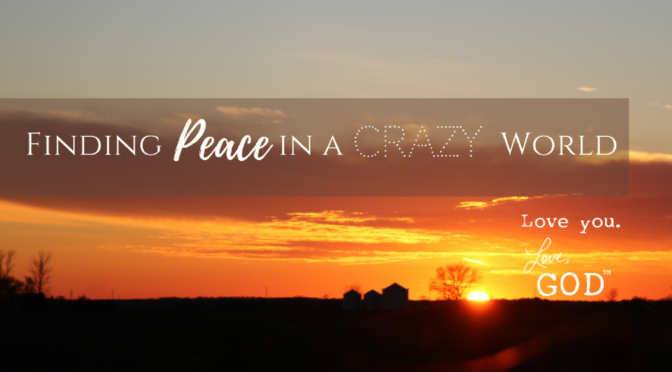 Finding Peace In A Crazy World isn’t too far-fetched. It IS achievable, but it will take our ATTENTION just as much as it will take INTENTION. There are some practical steps you will have to take but if you do them, even just some of them, I guarantee you will be better equipped to handle the crazy that I guarantee will try to take your day away – again. When I was in the shower this morning, I was praying. I’m a random prayer. Sometimes it’s in the morning when I’m reading, just to myself. Other times it’s out loud when I’m on the elliptical. And sometimes, well, sometimes it’s when I’m in the shower! I was praying about our team that is currently in Brazil who we have absolutely no contact with. One of those team members is my husband, who I am thankful will be home in four more sleeps. I adopted this phrase from the very friend who sits across the living room from me. It’s something she says with her daughters when talking about how much longer it will be until their dad comes home who, incidentally is on the same mission trip as my husband. Thinking about how many “sleeps” is a lot easier than trying to figure out if today counts as a day and how about the day we see them? Sleeps makes sense. It’s tangible and cannot be argued. So now that I’ve explained the four sleeps I have left until he’s home, I can now fill you in a little more on my prayers. They were about keeping them safe, healthy and happy. While I know they will be leaving a lasting impact on the people in the villages of the Amazon, I pray that God’s impact on their lives is equally as lasting. I prayed that the things they are getting from God are moving them in such a way that it will be life-changing, in a good way but a lasting way – that they are able to keep feeling the way they’re feeling and doing as God has called them to do, even once they’re home. Not only that, but I also pray that the things that God is doing in my life while he’s gone will last as well. My feelings are different when he’s not here. I see ways that I can be a helper more to him. I realize how much he does and how much more I can do. And so begin the thoughts…thoughts of the things I need to do, how I need to purposely set aside time to do things that will help me to be a better wife and mother, how I need to step up my game and show him even more than ever, how much I appreciate just who he is and how much of an impact he makes on our entire household. Those thoughts eventually led back to prayers for the team and others who are there. Praying for some individuals I began thinking about some things that I knew had been said to those very people I was praying for; things that are hurtful and were said shortly before they left. Then my mind began to start wandering in a different direction; in a direction that made me hopeful that they are not letting these words resonate. I also thought about the people who said those hurtful words who were in no place to put down a friend. While these individuals struggle in the same area, I find it hard to take that one feels the need to put down rather than bring up this friend. Who are they to say something like this when they know it’s the last thing that would help them? And the cycle stops there. God spoke very loudly. I am not going to let the things people say dictate the thoughts that I think. In this situation, I was allowing words someone else had said to another take over my prayers. If I can allow someone else’s words to someone else affect me in such a way, what was I doing in the situations when someone said something directly to me? Ouch! That’s where those 20 days went! We have to disconnect from the things that cause us to disconnect. You know what those things are. They’re social media, the news, anything with connectivity that you initiate. That’s right, YOU have chosen this distraction so there’s no one else to blame for what follows but you. Here’s what happens…you connect for a quick second but are immediately brought to something, then to another, and another until you forget how you got there in the first place. These things that help us connect with some people or things cause us to disconnect from other [more important] things. I’m going to repeat that again…The very things that help us connect are the same things that cause us to disconnect. What you do with those few brief moments can have a substantial effect on the rest of your afternoon and sometimes even your relationships. Be careful. Lesson #3: If you want to be better at something you have to do it. You’re not going to get better at push-ups by doing crunches. So how do you expect to be a wife if you’re focusing on being a better mother? How are you going to be a better husband if you’re focusing on being better at your job? How are you going to learn to focus more when you just created more distractions in your life? The cycle continues until you decide that what you want and need to get better at is going to require some work. How does that relate to finding peace you ask? It has everything to do with finding peace because of one, very important reason. If we are not the best we can be, or at least striving to be the best we can be, in every role we have in our lives we will never FEEL that comfort and peace in those roles. If you’re not putting your all in and making changes that will help you to be successful in those roles, you’re never going to be working at your full potential. There’s no peace at putting half your effort into anything. And it isn’t just about the roles we have either. If you want to get stronger, you will not get there just walking – you’ll need to lift weights! If you want to be closer to God, you’re going to have to read His Word, praying will only do it for so long. That brings me to Lesson #4: New level, new devil. Ouch! You didn’t know I was going there did you? It doesn’t matter if you’re a Christian, simply spiritual or confidently confused, once you take a step in the right direction and start making progress, it is inevitable that things are going to come into your life to distract you, to take your focus, to throw you off course. We talk about this often in church in regards to people’s relationship with Christ. The closer you get to Him, the better you get at your walk, the harder things are going to get. 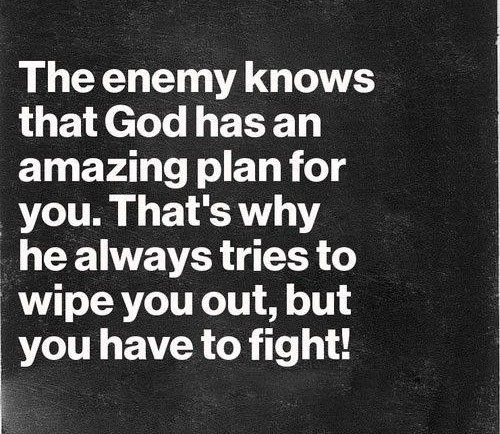 The enemy is out to steal, kill and destroy and he doesn’t want you to succeed. You think you’re going to play hardball and outsmart him, he’ll find another way in, typically through your mind because that’s where he gets us the quickest and the deepest. The only advice I can give you about this is know this – new level, new devil – and then when something happens, simply acknowledge that’s what it is instead of giving in to the feelings that you instinctively have along with it. Make your actions support your direction and your goals, showing that enemy that he’ll just have to try again later because he won’t be getting you this time! Lesson #5 You’re not of this world. I believe we’re beings created for a purpose only we can fulfill. Regardless of how good, bad or indifferent you are, I know that God created you for a reason even if your choices don’t always or have never reflected it. He gave us free will so you can choose what you do, how you act and react, but just know you are made with love for love. It’s simple. Do it, give it, have it – LOVE. You can’t let the things of this world have such an impact on you. If you are meant to make a difference in a situation then do it, but don’t let that situation have you. It’s important to know that our actions must reflect who we are meant to be, not how we’re feeling about things going on around us. Although most of those lessons were pretty deep, I have some easier, more practical ways to find peace in a crazy world. If all else fails or you are simply lacking time and can’t get out of your own thoughts, try doing any or all of these things and tell me that you don’t feel better! Hold a baby. This may not work for everyone and it will be best with a calm, maybe even sleeping baby! Get puppy kisses. You may not be a dog lover, but I’m telling you if you sit down on the ground and let a puppy lick your face, you WILL SMILE!! Go for a walk. Sometimes this is even good if it’s raining! But for goodness sakes, if you’re going for a walk, PUT YOUR PHONE AWAY!! Listen to music. This is a little tricky though. You can’t turn on angry music and expect to feel like looking at sunshine and rainbows. Let’s be honest, it’s going to take something a little different than that. Whether you believe me or not, you are affected by what you listen to and what you watch. Try listening to only Christian music for a little while (days) and tell me that something doesn’t feel different. There’s some good Christian music out there too so don’t think it has to be slow or boring! Try Crowder, Third Day or Need to Breathe. For me, sometimes I need some 80s-90s country music. Other times, I need the old KEZK favorites that I listen to as a teenager to fall asleep. Some days, a little Michael Jackson has just the right touch. Experiment. Find something and stick with it for a bit. Get fresh air. How about just sitting outside for a bit? Early morning, late night or mid-day, doesn’t matter. Disconnect. Seriously, do it. I don’t need to say anything else about this. Exercise. Endorphins have such a positive effect on your body both inside and out. Eat better. What you put in your body effects more than your shape. It can affect your mood, your health and so many things that you could literally become a different person if you just bit the bullet and put the right foods into your body! Be passionate about something but don’t let it dictate your every move. Be careful how much effort you put into things that aren’t going to help you to be a better you. And for goodness sake, stop letting things that don’t matter impact you. I’ve really wanted to share about my experience this past weekend at Winter (youth) Retreat but the words weren’t there. Then one morning a few days ago, I woke up very early with two words on my mind – STOREHOUSE and WHEELHOUSE. It was probably only about 2a and I wasn’t prepared to wake up so I said a little prayer that I would remember them again when I woke up for the day in a couple hours. I did, and decided I needed to write them down before I forgot them. I’m not sure where they came from but I’ve been thinking about them ever since. I even googled STOREHOUSE in the bible to see what came up. What I found was that it is interchangeably used with the word TREASURES, most specifically, God’s treasures. Without going much deeper, I decided to rest on it…knowing good and well the time would come when I would feel an urgency to write about it. The whole time, I thought WHEELHOUSE was just an overthought in my head that came from hearing the first one so I just brushed it off. Until this morning, that is. Let’s say that WE are the STOREHOUSE. We are God’s treasure, a STOREHOUSE full of HIS words and wisdom; best lived when we are open, when we dig deeper, and when we use the skills He’s given us for good — to bless others. But WE are also the WHEELHOUSE…completely opposite from my initial thought. My body is a temple of the Holy Spirit, who lives in me, whom I have received from God (Read 2 Corinthians 6:19-20). It is the WHEELHOUSE to protect the person at the wheel — God — who should be at the center of my life, guiding the direction in which I will go. 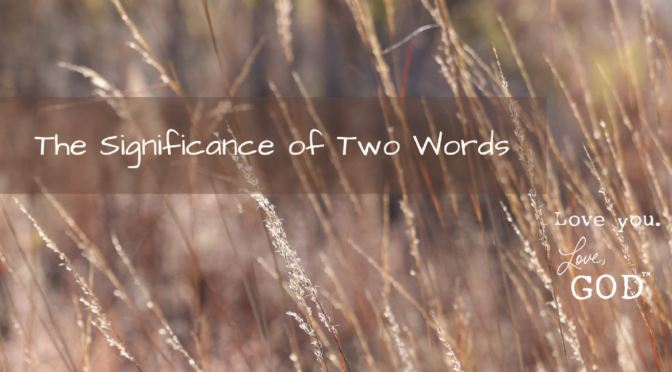 I would have never thought those two words would have actually come together, nor would I have ever guessed how. But it makes sense now. How quickly we come to think something is one way or should be but in fact, it should be another. If I am the STOREHOUSE I should be full of the things that will help me to be a better WHEELHOUSE. The wisdom God gives me to get through situations is how I protect His being at the wheel, making sure HE stays there and that I don’t take over. You see, often times we get caught up with trying to fix a situation on our own but He is the one who should be in control. We need to read His Word, go deeper to find meanings, take those pieces of wisdom He gives us to heart so that, when we need them, the answers will be right there. In order to be the best at who GOD, not this world, has called us to be, we have to make sure that our STOREHOUSE remains full and that the WHEELHOUSE is in working order. Aligning ourselves with God’s vision for our lives, not someone else’s. Too often people look at social media and, unknowingly, are being fed lies that they will not know how to fight off on their own. They start to think about someone else’s vision as their own, wish they had what one had or did what someone else did. God wants you to be YOU and in order to do that, you have to put your focus on HIM not those around you. If you want to live the life you were called to live you simply have to get your eyes off of everyone else’s calling and back on your own. Direction will come when the time is right. It may not be as quickly as you would hope or in the manner in which you requested it, but keep on pursuing and He’ll keep on answering — in HIS time. *Winter Retreat is a weekend getaway where students and leaders come to get closer to God and make lasting connections with one another.